Believe it or not, it’s MLB Draft season (less than a month away). 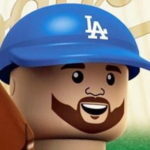 While the Dodgers have the 30th pick in the first round, things may be quite different next year if they keep playing this poorly. But for now, let’s focus on the 2018 draft. I missed on last year’s 1st-rounder Jeren Kendall because, well, rumors didn’t surface until the Friday before the draft that not only was he slipping, but the Dodgers were interested. In previous years, I hit on the Jordan Sheffield profile. Me and possibly Allan and Alex will aim to do at least 10 of these profiles. Because the Dodgers have the 30th pick, the possibilities are endless for their first selection. If there’s a college player slipping come draft day, he could be the pick. If there’s a high-ceiling prep bat, that could be the pick. If there’s a prep pitcher, well, I wouldn’t hold my breath. Bottom line is, there’s a good chance none of these prospects I profile will be the Dodgers’ pick at No. 30. But we shall see what happens. First up in our round of profiles is a prospect with one of the better pedigrees in the 2018 draft class in Parker Meadows — brother of Pirates’ prospect Austin Meadows. Meadows is a projectable outfielder from the budding baseball hotbed of Georgia. His combination of projection, tools and raw talent are intriguing. He’s not as good a prospect as his big brother, but if he were to tap into all his tools, some would argue his ceiling is higher — partly because Austin has dealt with injury issues in his career thus far. Parker has a sweet left-handed swing that, despite its length at times, shows signs of quickness and loft. With his 6’4/195 frame, it’s easy to see why scouts think there could be power coming. He has a high leg kick that helps him generate bat speed and plus-raw power. There is some inconsistency in his game, which is why he’s not a top-of-the-draft prospect. Defensively, Meadows profiles as a true center fielder because he’s a premium athlete with plus-speed. His arm could play up a bit in center field, but if he had to move to right field, he could handle it from that standpoint. Meadows also has a chance to use his speed on the base paths to swipe some bases. 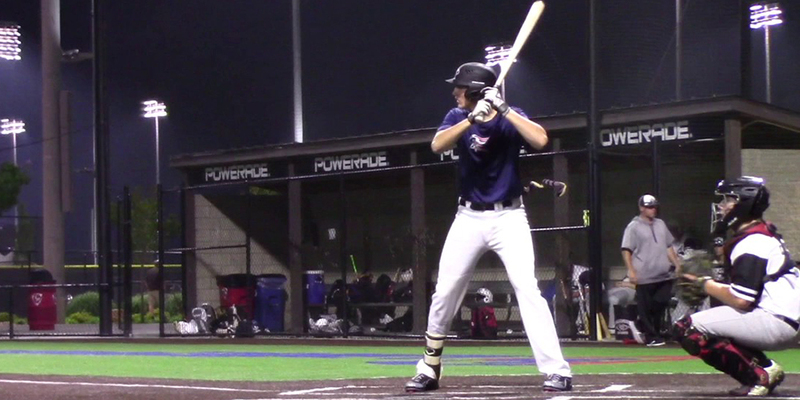 Videos courtesy of Vincent Cervino, 2080 Baseball and Perfect Game. As a Clemson University commit, he has one of the better baseball programs in the country as an option should he not get drafted where he wants or gets the bonus he wants. But the Dodgers’ slot-recommended bonus amount should be enough to get him to forego that commitment. Meadows is one of my favorite prospects in the draft. While he isn’t a bonafide Top 20 guy, he has high upside, and I’m always in favor of high-ceiling players — especially in the first round. His likelihood to stick in center field (a common comp is Bradley Zimmer) also plays into his favor.